WHAT IS HABS HAER & HALS PHOTOGRAPHY IN A NUTSHELL? The Historic American Buildings Survey, Historic American Engineering Record and Historic American Landscapes Survey are US federal government programs administered by the Heritage Documentation Program Department of the National Park Service (abbreviated HABS/HAER/HALS). Photographic documentation for these programs meets the Secretary of the Interior’s Standards for Architectural, Engineering and Landscape Documentation (SIS Doc Standards). In short, these programs document the historic built environment and cultural landscapes in America and work with the Library of Congress Prints and Photographs division to archive the architectural plans, reports and photographs for the public in perpetuity. HABS, HAER and HALS are considered the gold standard of photographic documentation programs. IS FILM STILL REQUIRED IN 2019? Yes, large format, black and white film is still the only medium that meets the photography guidelines for inclusion into the HABS, HAER and HALS (H3) collections. Photographs from digital cameras (known as born-digital) do not yet meet the Secretary of the Interior’s Standards for Architectural, Engineering and Landscape Documentation. The issue isn't digital resolution or megapixels; there are many issues including long-term storage and data manipulation that effect the requirement for analog large format photography. Many historic preservation mitigation requirements, for instance NEPA, Section 106 of the National Historic Preservation Act of 1966 (NHPA) and the California Environmental Quality Act (CEQA; EIRs, MNDs), reference the H3 guidelines specifically, and therefore they must also be recorded on archival, large format film to comply. BLACK AND WHITE NOT COLOR? 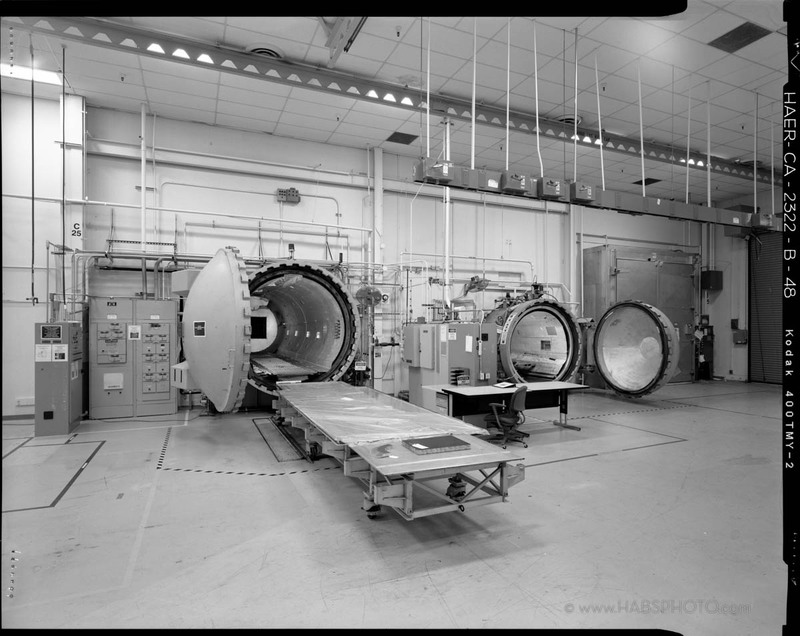 All three programs, HABS/HAER/HALS (H3), require photographs be taken on black & white film. The technical requirement is silver-halide on a polyester base similar to Ilford HP-5 or Kodak Tri-X. This film, if properly washed, is considered archival and resists fading resulting in a predicted Life Expectancy of 500 years (LE500) or more under proper storage conditions. Color film uses dyes and does not meet the LE500 requirement. Some resources that have colorful character defining features and many HALS landscape documentations may require both black and white and duplicate views on color transparency film. Additionally color digital images of the resource are often included in the field-notes because they are not required to meet the LE500 standard. WHAT DOES LARGE FORMAT REFER TO? Large format photography is captured by cameras that are capable of exposing large sheets of film that are a minimum of 4 x 5 inches. 5X7 inch or 8X10 inch are also common large format sizes. 5x7 is the preferred format for HABS/HAER/HALS documentation and the in-house NPS photographers at Heritage Documentation Programs in Washington DC primarily use 5x7 cameras. Very important resources like the Golden Gate Bridge, the Holland Tunnel and the Statue of Liberty were recorded on 5x7. Large Format aerial photos are customarily made with 4x5 cameras because they can be hand-held in aircraft. 8x10 cameras are often used for studio copy-views of historic photos, blueprints and maps but are generally too heavy and cumbersome for location photography in the field. WHY IS LARGE FORMAT REQUIRED FOR HABS? The short answer is: Quality and life expectancy. The long answer is a bit more technical… The National Historic Preservation Act of 1966, [as amended, now codified in various sections of subtitle III of Title 54 U.S.C.] requires documentations meet the Secretary of the Interior’s Standards for Architectural and Engineering Documentation. [48 Fed. Reg. 44,716 (1983)]. The “Standards” require large format film photography because it is durable, archival and records maximum data. 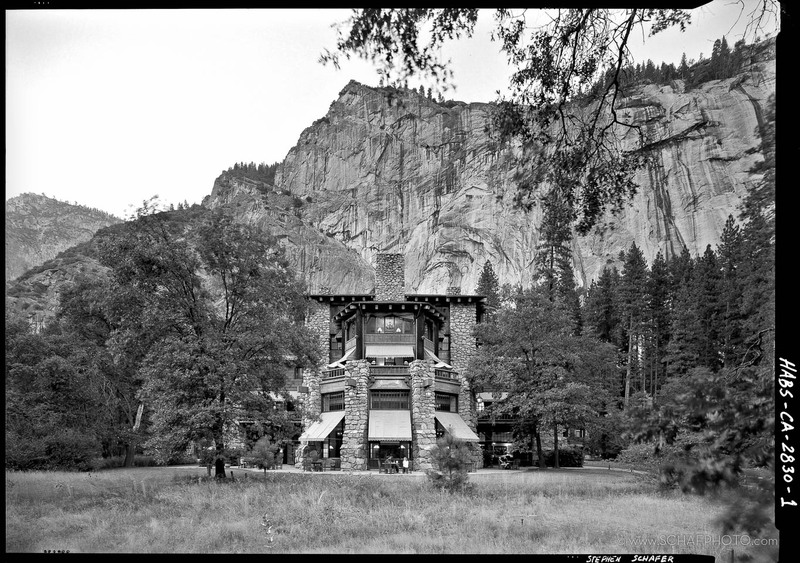 The National Park Service and Library of Congress (LoC) have systems and collections in place for archiving and disseminating large format images. Because the HABS documentation guidelines and systems are the gold standard for photographic documentation, state and regional policies have now adopted the HABS standards. So from NEPA and CEQA to city ordinances and school districts the HABS guidelines, requiring large format photography, are now the de facto standard. If historic resources are impacted by new projects, demolition or alteration, there is often a requirement to document the historic property following the HABS\HAER\HALS guidelines (which means the Standards). In 2017, the Associate Director, Cultural Resources, Partnerships and Science, in a memo [H1817(2270)] to all State and Tribal Historic Preservation Officers, clarified that "…HDP, will accept all documentation of National Register and National Register-eligible properties of national, state, regional or local significance…” So if a building, district, object, structure or site is Local, State or National Register eligible then large format photography would be the prescribed mitigation. WHAT 3 THINGS CONSTITUTE A QUALITY DOCUMENTATION? 1.) Maximum Data: The high resolution large format photography must include maximum, accurate data and shall be recorded with perspective correcting lenses. 2.) The film, prints, report, drawings and captions must all be created on archival materials, and the film shall be processed to archival standards to insure of 500+ year life expectancy (LE500). 3.) In order to truly be a public benefit, the photos and report must be accessible to the public. This is the reason records are sent to the Library of Congress and the reason the HABS/HAER/HALS online collection is one of the most popular. It receives nearly 50,000 visitors a month. In order for documentations to indeed mitigate impacts they must be in the public domain (uncopyrighted) and accessible to provide architects, engineers, scholars, preservationists, and interested members of the public with information on the historical, technological, and cultural significance of America's historic resources. The best way to insure accessibility (the only way meeting the Secretary's Standards) is donation of the photographs, reports and/or drawings to the H3 collections. If donation to the LoC is not possible, and local museums, archives or libraries are selected to receive a mitigation project, it is important that copies of the documentation be disseminated to locations where the information can be easily accessed and used by the public and not just end up on a shelf in at the back of city hall or in a military or institutional archive that is only accessible by secret handshake. WHAT IS “HABS-Like", “HAER-Like" & “HALS-Like" PHOTOGRAPHY? HABS-Like, HAER-Like and HALS-Like (H3-Like) are made-up terms, and as such, they require definition on a case by case basis. In our experience, these parameters are an attempt to quantify the structure, content and quality of official HABS/HAER/HALS documentations without federal oversight and participation. There is no formal definition for HALS-Like or HAER-Lite or Diet-HABS but in our experience it usually means that H3 guidelines for approach, content and deliverables are followed closely but the finished documents (prints and negatives) may not be submitted to the Library of Congress. Often the photos, drawings and reports are distributed locally and/or regionally. Most of the documentary surveys in California triggered by CEQA to mitigate Environmental Impact Reports (EIRs) or Mitigated Negative Declarations (MNDs) are HABS-like but it is important to note that while H3-Like documents may be required and endorsed by the lead-agency, they are not recognized as sufficient as mitigations for federal projects and they do not meet the Secretary’s Standards for Architectural and Engineering Documentation. Until documentation packages are submitted to the NPS Regional Office for review or a donation proposal is submitted to HDP and official numbers assigned, they are not HABS, HAER or HALS documentations*. In state or local H3-like documents, it is important to put the photographs in the public domain and make copies of the report available to the public in multiple, accessible locations. * Note: To avoid confusion, documentations not transmitted to HDP should never be titled using the acronyms HABS/HAER or HALS. HOW MANY PICTURES DO YOU NEED FOR A TYPICAL HABS/HAER/HALS PHOTO PROJECT? Number of views is always a complex question. The answer comes down to significance. If the building is a detached garage in a historic district, a few views may be sufficient. If that garage is the "HP Garage" birthplace of the Silicon Valley, then it would likely warrant more views. For example, what about demolition of the largest lift-span bridge in the western United States? 27 views? 39 views? 75? Or 111? In complex recording projects, the scope needs to be informed by the size of the resource, its context, its complexity and its significance. In this bridge example, forty HAER field-views were taken in the field and forty copy-photos of original blueprint pages and engineering drawings were photographed to explicate the bridge's engineering significance. Without access to the historic blueprints and plans, many more detailed field view photographs of the bridge would have been warranted. How was that quantity determined? Scouting, asking a lot of questions and working with an architectural historian to analyze the bridge's significance and character defining features. There is no simple guideline, but working with a preservation expert and an experienced HABS/HAER/HALS photographer can help with complex scoping. The intent is to tell a complete story about the resource which may mean interiors, context, landscape, details and possibly even aerials if the resource is a large district or property. However the documentation should not be excessive, punitive or disproportionate with the significance of the resource. HOW MANY DELIVERABLE COPIES ARE PRODUCED FOR A HABS/HAER/HALS SURVEY? It depends. If the documentation package is formally reviewed by the National Park Service (NPS) Regional Office for transmittal to the Library of Congress, then customarily 1 set of negatives and 2 sets of prints are delivered. Often additional copies are requested by the lead-agency, the State Historic Preservation Officer (SHPO), consulting parties or the Advisory Council on Historic Preservation (ACHP) to fulfill local mitigation obligations or conditions. Local museums are typical recipients of documentation reports. Often libraries, historic societies, state museums, universities, the State Historic Preservation Office (SHPO) and even advocacy groups are listed to receive copies of reports. It again comes down to significance. If the building is the "HP Garage," birthplace of the Silicon Valley, its regional importance warrants duplicate copies in every library in the Silicon Valley. State and local H3-Like documentations require one or more sets of negatives and multiple print-only copies to archives such as state or regional museums, historic societies, university libraries and regional information centers. Because the negatives and prints are expensive to produce, original copies may not be warranted for all archives. Archival laser-copies may be sufficient for historic societies, local libraries, and planning departments since they may not be able to store original negatives in controlled conditions. It might seem that uploading reports and images to the web would be much easier but the necessity of maintaining a website, links and hosting digital documents in perpetuity makes printed copies more reliable. IS THERE A WAY TO DO HABS-Like DOCUMENTATION FOR LESS? The formal federal HABS/HAER/HALS documentations are reviewed by the National Park Service, and after acceptance the negatives and prints are transmitted to the Library of Congress (LoC). The negatives are (eventually) scanned and the report is made keyword searchable. The entire document, photos, drawings and historic report are made available on the LoC website for easy access and download by anyone worldwide. 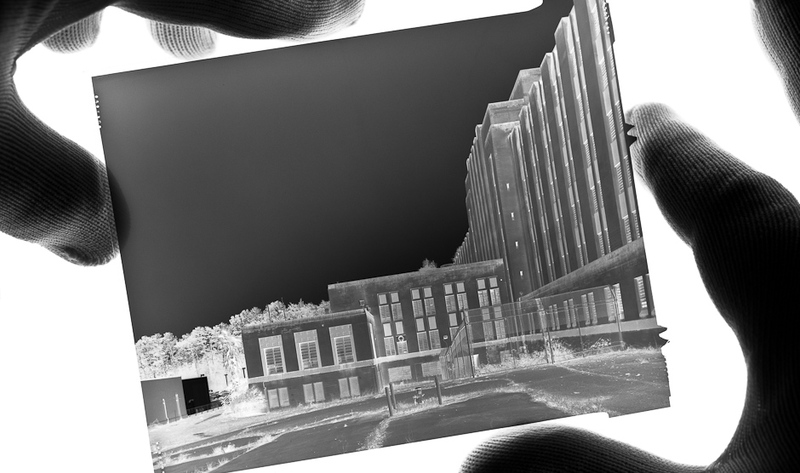 The negatives are then archived to achieve a 500-year life expectancy in specially built, secure, temperature- and humidity-controlled conditions at Fort Meade, Maryland. The prints are always available for viewing by the public in the LoC Prints & Photographs Division in the Madison Building in Washington, DC. That sure is a hard working, perfectly stored, publicly accessible document! It’s counterintuitive, but here’s what we're getting at: You can save time and money on local documentations if the photographs meet the HABS/HAER/HALS guidelines and the documentation is donated to the H3 Collections through their informal donation procedure. No multiple copies required. No additional negatives. No NPS regional office review. No chasing down acceptance forms from local historic societies and museums. 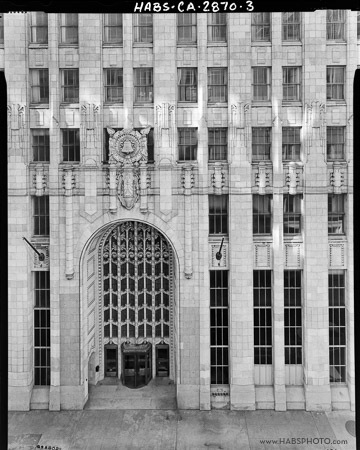 If you are already meeting HABS photographic guidelines, then making multiple sets of negatives and prints for local archives will cost more but still never be as good as the LoC. One way to save clients money is making one set of photos and donating them to the HABS/HAER/HALS collection. To donate a record to any of the H3 collections using their simple short-form. I talk about this in-depth on my HABS MADE BETTER & CHEAPER page. HOW TO HIRE A HABS, HAER or HALS PHOTOGRAPHER. CAN ANY PHOTOGRAPHER DO HABS/HAER/HALS? The HABS/HAER/HALS photography guidelines can be downloaded from the NPS website. There are many photographers that have experience with the meticulous manual process of large format photography, and have experience with large format lenses, film and perspective control. For those wanting to learn, there are large format classes and workshops. 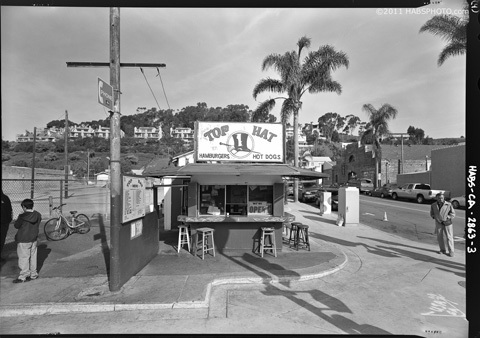 4x5 cameras, can be rented in New York, San Francisco and Los Angeles. It should be noted that the exacting specifications for recording, processing and transmitting HABS/HAER/HALS surveys (PDF 32 Pages) are complex and it takes some time to master the logistics, field notes, maps, darkroom work, archival washing and printing, and the arduous post-production tasks. We have found that for every day of fieldwork making photographs, there are four days of darkroom and post production required to complete and ship final deliverables. Unfortunately we have also been called to redo documentations submitted to HDP by inexperienced photographers that were rejected because they did not meet archival specifications. In addition, some photographers do not carry the required insurance or do not wish to sign away copyright to their photographs and release them into the public domain (a copyright release is required with every HABS, HAER and HALS transmittal). Therefore, there may only be a handful of photographers in any region with the training, equipment and experience to do an HABS/HAER or HALS survey. A Record in Detail by Jack E. Boucher. Industrial Eye by Jet Lowe. A Constructed View by Julius Shulman. DOES A HABS DOCUMENTATION NEED TO BE PRINTED IN A DARKROOM? The resource is still photographed on large-format film and the film processed and archivally washed as before. Then, instead of being contact printed in a wet darkroom, the negative is scanned and printed on a digital pigment printer using archival inks. This generally does not save time, but it allows photographers without darkrooms to make H3 prints. "HABS digital contact prints" may also be a less time consuming way to make large numbers of printed copies for numerous museums and libraries. DOES A SITE NEED TO BE ON THE NATIONAL REGISTER TO BE INCLUDED IN HABS? Sites documented for the HABS, HAER, HALS collections need to be historically significant. However, sites do not need to be registered on the National Register of Historic Places or be National Landmarks to be documented. The HABS/HAER/HALS collection seeks to record "A Complete Resume of the Builders' Art", including folk and vernacular examples of historic resources. WHAT MAKES A MEANINGFUL HABS PHOTO MITIGATION? In order to facilitate the creation meaningful mitigations that are both a public benefit and contain all the information needed for a comprehensive scope, we created some suggested text for a typical HABS/HAER/HALS mitigation as you might find in an EIR or EIS. It is linked here as a PDF, or search the web for "CULTURAL HABS PHOTO MITIGATION." The HABS/HAER/HALS office moved to the Main Interior Building in Washington, DC. April 2017. All U.S. Postal Service (USPS) mail sent to Main Interior is subject to irradiation. That process may damage survey materials. There is concern about the prospect of damaged negatives or hand-drawn sheets that can't be recreated, but irradiated paper and CD/DVDs would also be a problem.